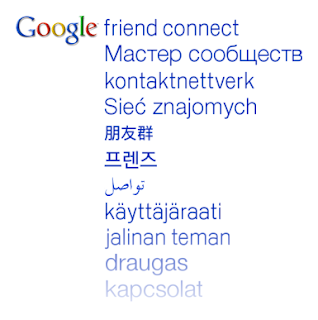 Google announced today that FriendConnect is now available in 47 new languages. Some languages Friend Connect gadgets support are French, German, Italian, Spanish, Chinese, Japanese, Hindi and Portuguese. Site owners simply set the language of their site and Friend Connect will automatically render the gadgets in that language. The lack of multiple language support native to the application has been a sore point with FriendConnect users from the very beginning. This should make the international social blog community much happier and leaves Twitter and Facebook far behind as both are largely US based applications. This entry was written by Chris Lang, posted on July 14, 2009 at 9:32 am, and filed under Google Friend Connect and tagged connect, friend, FriendConnect, google, Google Friend Connect, google's, language, support.